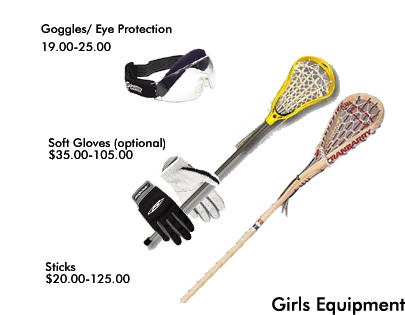 Protective equipment is an important part of playing lacrosse and below is the list of equipment or both boys and girls lacrosse. Here are the Predator Uniform Sizes for both Boys and Girls. 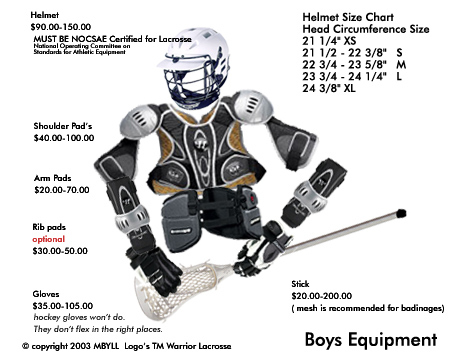 Lacrosse Helmet and attached mouth guard. NO HOCKEY HELMETS. Rib pads are recommended, but not required.